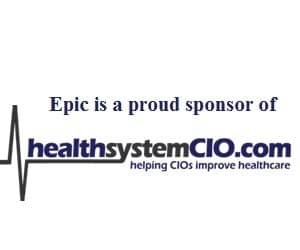 Landing a new job as a health system CIO can be a daunting task. You may have been assisted along your career path by an executive recruiter, and hopefully it was a rewarding experience. But what if you have never been approached by an executive recruiter about open positions? How can you get noticed and become more visible to executive search firms? Every year in May, Modern Healthcare publishes its list of the 25 largest healthcare executive search firms. These firms are mainly private with a few public firms. They are “retained” healthcare executive search companies, which means they receive their fees from clients and work on a contract basis. Many firms have healthcare IT practices and they find candidates to fit the needs of client organizations. They use a large database of contacts to reach out to candidates about new searches. If you’re not in the database, you won’t be notified. How can you get into recruiter databases? The best way is to submit your resume directly to the recruiter listed on an online job posting for a CIO position or apply on the search firm website. Most reputable firms will acknowledge your resume. If you do not receive a reply, check back and inquire about the status of the search. How else can you get noticed? If you are at a small organization and your goal is to move to a bigger health system, consider a number two position to gain experience in a larger environment. You may also want to consider moving to another area of the country to obtain your next best CIO job. While you are actively looking, network with colleagues, associates, friends, and family. Call, write, and share your resume to engage them in helping you. Finally, assess your leadership skills and be realistic. Standing Out To Recruiters: Are You A Person Of Interest?